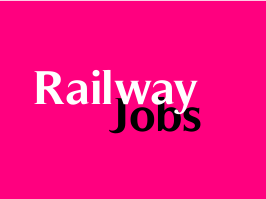 North Central Railway, Jhansi has released notification for the recruitment of 413 Act Apprentice vacancies for the year 2015-16. Educational Qualification: Candidates must passed 10th class examination or its equivalent (under 10+2 system) with 50% marks & ITI passed certificate in related trade from a recognized Industrial Training Institute. Age Limit: Candidates age should between 15-24 years as on 31-12-2015. Age relaxation is applicable 5 years for SC/ ST, 3 years for OBC, 10 years for PH candidates as per rules. Selection Process: Candidates will be selected based on academic merit. How to Apply: Eligible candidates may send their application in the prescribed format affixing recent passport size photograph on it & another recent passport size photograph on call letter attested by gazetted officer along with attested copies of relevant certificates, self addressed envelopes size ’11′ x ’5′ in which, one envelope must be pasted with minimum registered postage stamp (Rs. 27/-) (SC/ St candidates are exempted for pasting of stamps) by ordinary post only to the Office of the Chief Workshop Manager (Personnel Branch/ Recruitment Section), Wagon Repair Workshop, North Central Railway, Jhansi (Uttar Pradesh), Pin Code-284003 on or before 29-12-2015 by 17:45 P.M. Superscribe the envelope as “Application under apprentice Act, 1961 for the year 2015-2016 in wagon repair work shop Jhansi or Rail Spring Karkhana Sithouli North Central Railway”.